Bringing your pet in for an annual wellness checkup can help reassure you that your dog or cat is healthy or help us detect hidden diseases or conditions early. Early detection can improve the prognosis of many diseases, keep medical costs down, and help your pet live longer. Many dogs and cats are good at hiding signs that something is wrong, so subtle changes in their health or behavior might be easy to overlook. Depending on the disease, some pets don’t show any symptoms. Call us today to schedule your pet’s exam! If you have any questions. 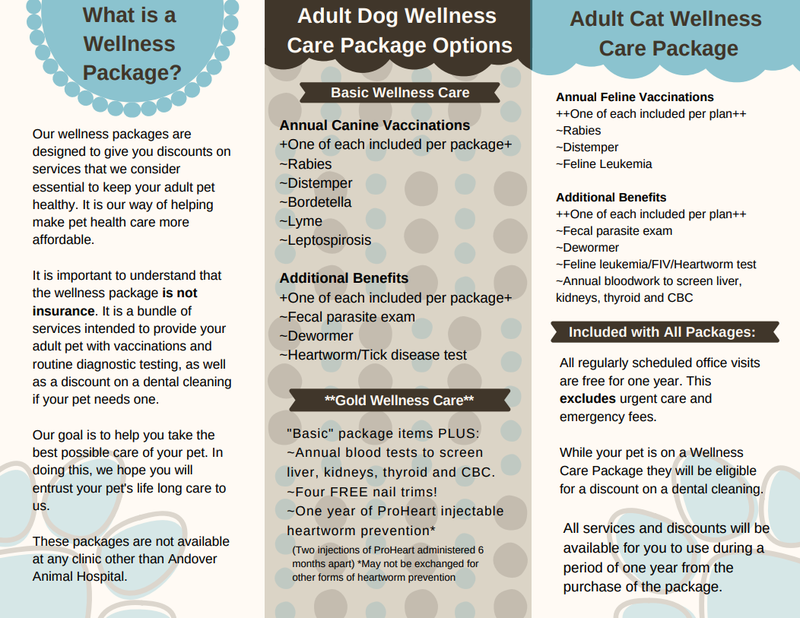 Ask about our Adult Preventative Care packages! We absolutely love this place, staff is fantastic, and knowledgeable ,and always explain things so you know exactly what's going on. Dr.Craig is our vet, and has been for over 7 yrs. Wonderful, caring man, with a ton of knowledge. Would NEVER think of going anywhere else. 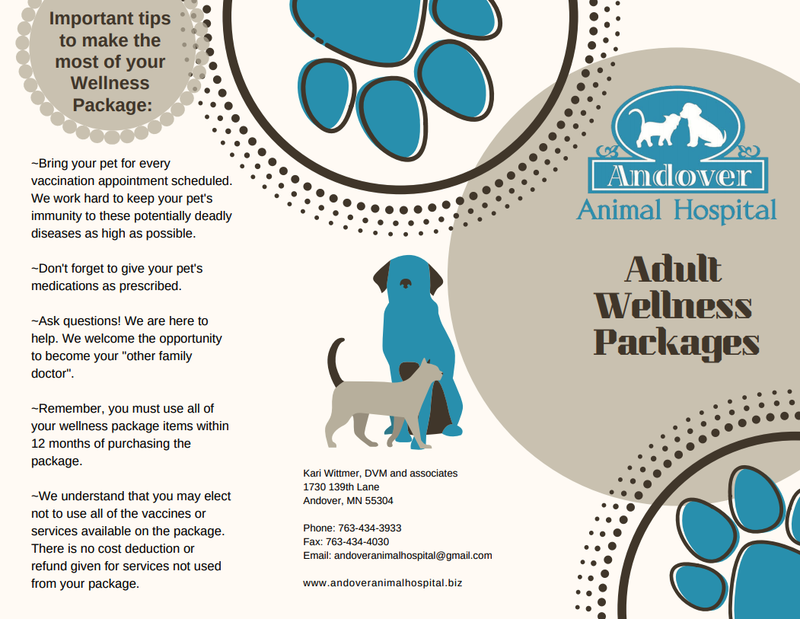 Thanks for everything you've ANDOVER ANIMAL HOSPITAL!!! !